The big news today is the formal cast announcement for next year's Butai Sengoku Basara 4 Sumeragi stage play! The lineup is now on the official website so everything has been confirmed. Most surprisingly, Date Masamune has been recast again, while Shiina, who used to play Ranmaru, is now back as Sasuke. We have a new Kotarou, too, which is a shame as I loved the old one. Meanwhile Shiramata is going to be the fourth Motochika; he gets recast every single time - and we have the series' third Magoichi making her debut. I've put the newcomers' names in bold. Huh, no Oichi? No Yoshiteru? No Maria? It's sort of strange seeing Katsuie without any of his Oda allies, though I'm happy he's back and won't complain. Given that two of the three Sumeragi leads are missing, I think it's likely we'll see further adaptations once this play has completed its run. Mitsunari and Sakon being absent despite their staggering popularity is also a surprise. Yeah; that’s quite a few characters in the cast list but I had the same reaction. It looks oddly empty. Sumeragi adaption but without Yoshiteru, Nagamasa (yay) but no Oichi, Katsuie but no Sakon etcetera. I wonder what the plot will be like. Prognosis: It’s going to be more serious and tragic since it has both Sen no Rikyuu and Matsunaga. The next stage play will be more weird and lighthearted, and Maria and others will appear. 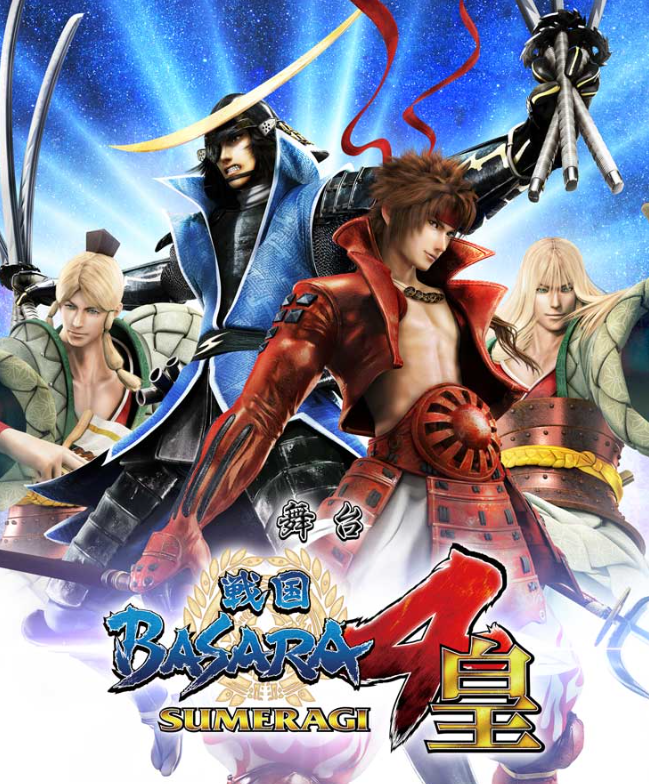 Mm, thinking on it no Sakon almost makes sense because they covered a few of his new-to-Sumeragi scenes in the Butai Sengoku Basara 4 play, so they may as well hold him back for a more Toyotomi-centric story later to give the new Mitsunari and Ieyasu actors their time in the limelight. It's certainly a strange selection though. Nagamasa without Oichi is downright shocking! I was going to say they might adapt the new Rikyuu scenario novel from the magazine (which I need to get back to summarising) but none of the other characters who appear in it are present either. I guess the heavy Hisahide/Rikyuu story will frame the rest of the encounters. Hopefully the new actors are good! Shiina was cool as Ranmaru and I think he'll work quite well as Sasuke, even if Murata was already perfect. I'm not familiar with the others even though most are quite experienced.